The BPM and PRO shows in Birmingham, UK, are both aimed at their respective markets, with DJ being directed at DJ’s and entertainers, and Pro targeting professional entertainment technology customers. With Laserworld‘s large product portfolio fitting both audiences perfectly, a large product display was setup by the group to display throughout the three day show. 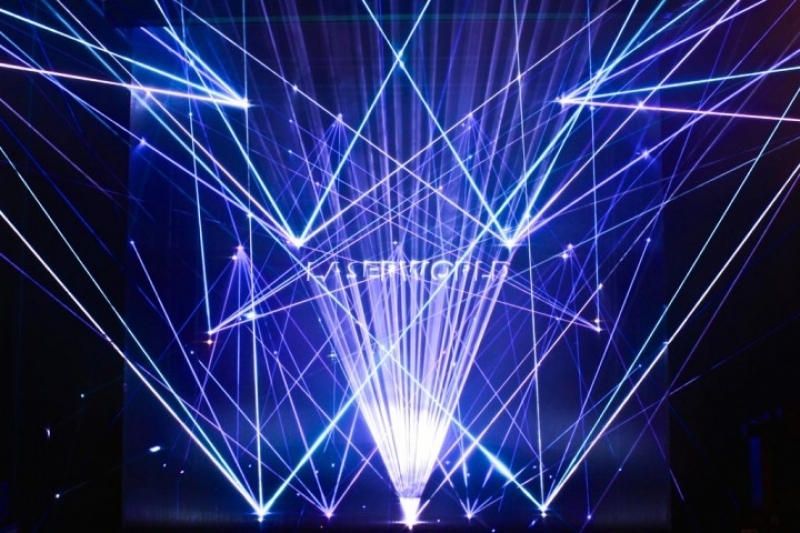 Two shows were produced; one showcasing the laser systems for DJs, entertainers and small nightclubs, the other one with professional laser gear for high end customers. The smaller show for BPM visitors focused on showing the newly launched products of the Laserworld Club Series, the CS-1000RG MKII and the CS-2000RGB MKII, as well as some products of the Diode and the Proline Series. The PRO show mainly used RTI projectors, like ATTO and FEMTO units as well as two HB-Laser LightCube projectors, and some BeamNET-10 PROs. Both shows plus the introduction sequence were created with Pangolin BEYOND laser show designer. The programming and show design was done by Daniel Briggs from AC Lasers, one of Laserworld’s partners. Between the shows, Laserworld displayed information on their products and brands using laser projection onto the motorized scrim. The sequence was programmed to a percussive track which slowly built the excitement, culminating in massive amounts of synchronized beams to give great impact. 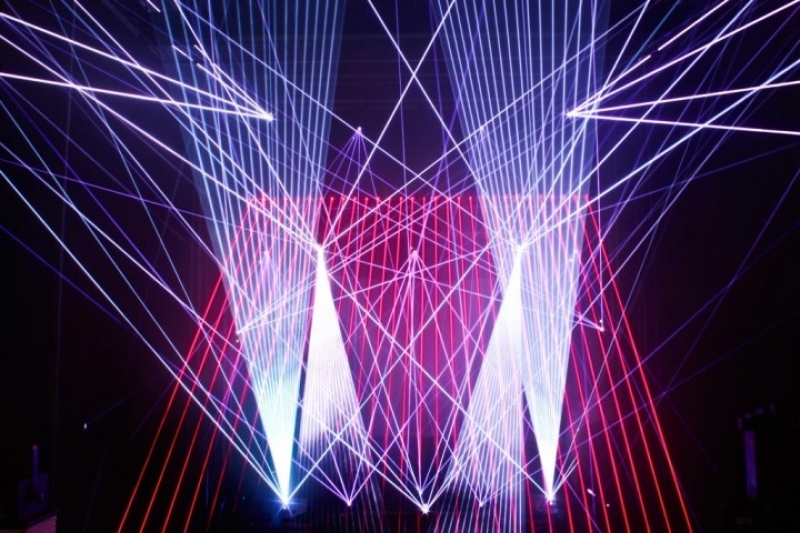 This part of the laser show setup was used for showing the variability of the lower end laser gear and the entry-level systems: Each Laserworld product series has different characteristics and some of them have additional built-in effects that were displayed. The final show used professional level kit to deliver a fast paced, tightly synchronized show. The advantages of the very systems were displayed; very tight beams as well as smooth graphics projection. After the show had finished, Beyond was used to schedule a variety of slow atmospheric beam effects, with a countdown clock projection. The whole sequence was schedule via Pangoscripts and BEYOND worked flawlessly over the 3 day show. The whole Laserworld Group exhibited at the stand, mainly coordinated by Laserworld UK. Represented group members were Laserworld, RTI, SwissLas and HB-Laser.